Peaky Blinders is a gang warfare television drama set in Birmingham, England circa the early Twentieth Century. The show has currently aired three seasons on BBC Two (and is also available on Netflix. The story is told via graphic flashbacks, and terse dramatic energy. 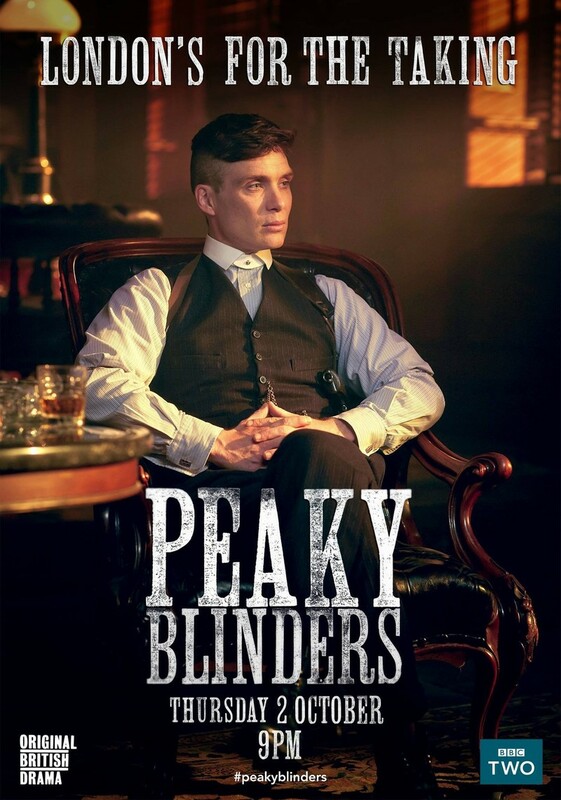 Viewers follow the exploits of Peak Blinder's gang leader Tommy Shelby (Cillian Murphy). The police are in on the act as Chester Campbell (Sam Neil) attempts to disband the gang, but Shelby has other problems as Freddie Thorne (Iddo Goldberg), the show's antagonist threatens to take over his turf. There is also the issue of Shelby's sister Ada, who has a love affair with Freddie Thorne. There is the mole, Grace Burgess, a barmaid who works serving drinks to the Peaky Blinders crew while keeping tabs on Shelby. The show is a mix of brutal violence, sexual promiscuity, and a psychological portrait of a gang anti-hero. DVDs Release Dates is the best source to find out when does Peaky Blinders come out on DVD and Blu-ray. Dates do change so check back often as the release approaches.